Sylvia longs for a baby. After two miscarriages and years of IVF treatment, she is obsessed with finding a cure for her infertility. On the brink of a nervous breakdown, she abandons her hospital job and buys a derelict cottage on the Greek island of Crete. Here, in the clean air and sparkling sea of the Aegean, she sets about purifying her body, convinced that this will help her conceive. But hypnotised by the heat and beauty of the island, Sylvia's desire for a baby is gradually eclipsed by a new obsession: to find out more about Martin, the troubled young expatriate builder she hires to help renovate the cottage. Where does he vanish to each night? Why does he keep his mother's ashes in his red campervan? And, why won't he talk about how she died? 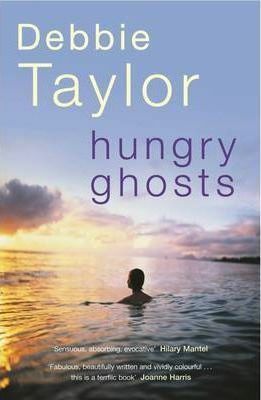 Debbie Taylor has written a sensual, disturbing and beautifully-crafted novel: about desire and loss, and the healing warmth of the Mediterranean sun. Debbie Taylor is editor of Mslexia, the fastest-growing literary magazine in the UK. She has been writing and travelling ever since she abandoned her career as a research psychologist. She has worked as editor of New Internationalist magazine, and has co-edited The Virago Book of Writing for Women. Her non-fiction book, My Children My Gold (Virago), was shortlisted for the Fawcett Prize for women's writing. She lives with her partner and daughter in a disused lighthouse at the mouth of the River Tyne. Her novel The Fourth Queen is published by Penguin.